We are excited about our new trolling stick made by a local rod-smith Manual Lara. Wow, what a great job on the design, gold thread over a black blank. Even our logo turned out nice with the gold outline. It might be time for you to invest in some gold! This trolling rod is 6 foot 6 inch Forecast E-Glass (20-40lbs) blank. Nice Virtus line guides with nano light rings and 3/16th stainless steel frames. 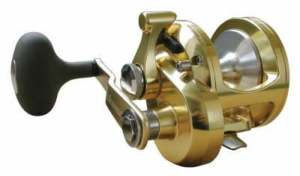 These guides are designed to spirol from top of rod to the bottom taking full advantage of the fishing poles modulous elastisity. This newly built custom trolling rod﻿ is ready to catch a big one in the Gulf of Mexico while trolling with a Okuma Titus Gold TG 20s. We placed Momoi's Hi-Catch Diamond 30 lbs test at the recommendation of "The Saltwater Cowboy", Scott McCune out of Rockport. 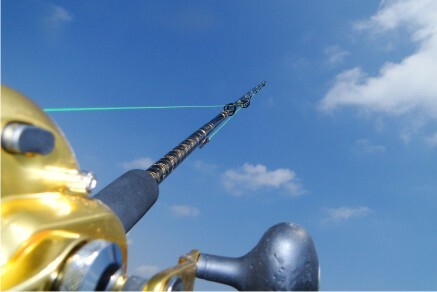 For more information on custom fishing rods visit our JustGoFishin website. ﻿He created several nice looking durable fishing rods for JustGoFishin... he can do the same for you! Another run to the Land Cut to take advantage of the time of year. 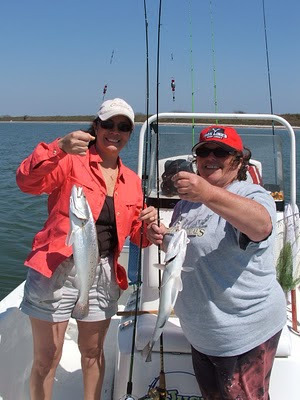 Our last trip down to the Land Cut we caught several nice speckled trout. This time we caught all black drum off the bottom with live shrimp. The weather was a nice sunny day with 16 to 20 mile an hour winds. Elder Terry Jones who is currently serving a mission for the Church of Jesus Christ of Latter Day Saints with his wife in Corpus Christi Texas took a day off from their rigorous schedule of teaching college age young adults and other duties joined us on our quest to catch fish. Elder Jones said, "I can safely say that this is the biggest fish I ever caught". Using light bay tackle, this fish took Elder Jones 10 mins or so to land this lunker in the boat. Measured 24 1/2 inches and weighed approximately 8 pounds and really gave him a nice fight. This was a nice 24 1/2 inch, 7 pound Black drum﻿. We really got into these drum today as we used great patience to hook and land these beauties. The bite was very faint and light, usually just getting a few bump... bump... bump's and then FISH ON. You had to be careful not to try and set hook to fast or you'd pull the hook right our of there mouth. Once they were hooked, it was a fun fight to land. 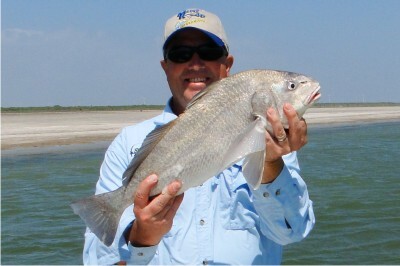 ﻿Catch of the day was by Gary Nelson's 30 inch, 14 pound black drum. 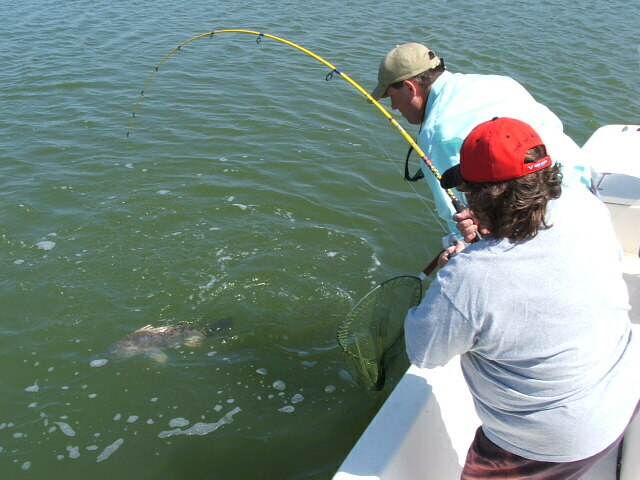 Releasing this beast after a long fight to land, Gary had all the bragging rights of landing the biggest fish. ﻿Great day of fishing with some great friends. 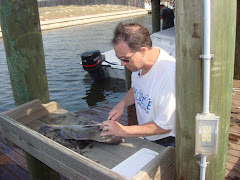 Hooting and hollering like school kids as we landed several nice fish to take home and enjoy on the grill. The ride back got a little wet as we navigated across the mouth of Baffin Bay and Bird Island with swells 3 feet or so. The winds had kicked up to 20 miles an hour or so and blowing our boat spray over the top of boat getting us soaked. But all was good since we know that it's the "Price of Catching Fish" sometimes. Caught Saturday February 25th 1 mile south of pure oil channel live shrimp under an alameda float, had two limits of reds and 9 trout in three hours, fishing with my wife Rosemary with the wind blowing 25 mph. Fishing in 25 mile an hour winds isn't the best conditions for any fair-weather fisherman. But Tim doesn't fall into this category. Not only did he battle 25 mile an hour winds and the whitecap waves that go along with them. He took his wife along for the day as well. 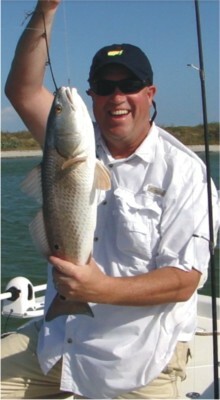 To Tim it's just your typical day on the water with your wife in 25 mile an hour winds, 3 foot whitecap swells, heavy boat sway and slap while catching your limits on redfish and several trout. Congratulations on a great day of fishing! 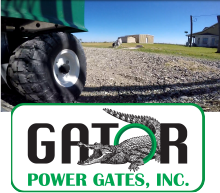 Just a terrific day to enjoy the great outdoors with the nice cool breeze and warm sun while traveling and fishing the Land Cut. The bite was medium compared to other days but kept us just busy enough to stay on our fishin spot all day. 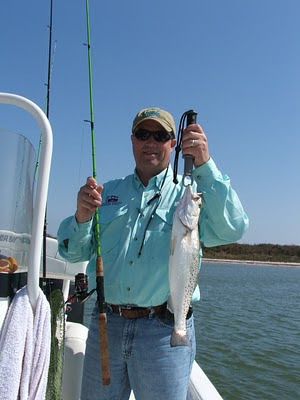 The day brought us several nice keeper speckled trout as we tossed back several undersized fish. Enjoying a day of fishing with some great friends makes it that much better. Just when we were wondering where the redfish and black drum were since we hadn't caught any yet. Cathy Ditto catches a nice 24" black drum. Working here temporarily from Tennessee had caught her first speckled trout, stingray, and black drum. Fishing with the JGF Rods proved to be a winning combination for some nice speckled trout catches throughout the day. The medium rod with light action was great to feel the bite and bumps of the fish in preparation in landing our fish. ﻿Great day on the water with Cathy Ditto, Katherine Lara, Manual Lara, and I tossing a few hooks in the water.